"As more Americans have discovered its extraordinary lusciousness, vivid fruit, soft mousse, and captivating perfume, it is no surprise that the following for Moscato d'Asti has grown dramatically in recent years. Yet, because of its delicacy and dependence on perfect balance, great Moscato is hard to make, and only a few producers have mastered the craft. One of these is Stefano Perrone who has quickly emerged as one of the region's stars. 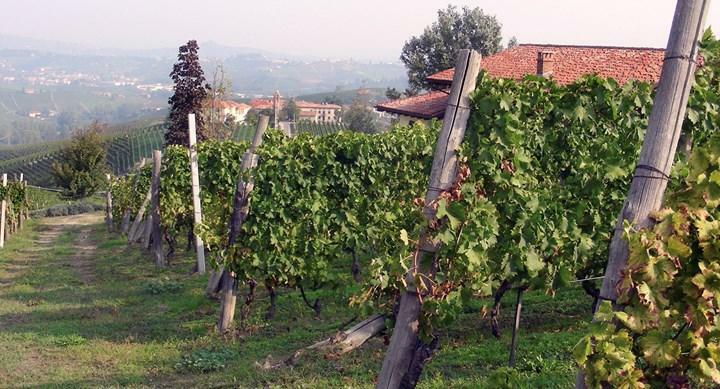 In 1995, The Rare Wine Company's Mannie Berk set out to discover the Great New Moscato Producer. He organized a tasting in Italy of the Moscatos of over a dozen producers, all of whom had top reputations locally. After tasting them blind he came up with a short list of growers whose wines he thought were outstanding. He then visited them and tasted not only the 95's again, but also their 94's (to see how the previous year's wines were holding up). Ultimately, he chose the Moscato of Stefano Perrone, who had taken over the duties of the family domaine named for his father. A retired champion motocross racer, Stefano's formidable reputation rests squarely on his two Moscatos: Sourgal, released in late November, and his best wine, Clarté, which is released in April. At the same time that he was branching out into Barbera, Stefano produced his first vintages of Bigaro--a softly sweet, gently effervescent salmon-colored sparkler made from Brachetto and Moscato. Robert Parker, Jr. called the debut 2001 Bigaro "beguiling." Mannie's faith in Stefano has been rewarded by an unbroken string of sensational wines since we began working with him in 1995. While the Moscatos go from strength to strength, we can only wait to see what other marvels emerge from his cellars." International Wine Cellar 90"Vinified for immediate consumption and bottled in November."